In my attempt to be a better blogger this month, I am owning the challenge of writing 31 posts for the 31 days of August - think I'm doing pretty good so far! So it's only fitting that today's post features a dinner that I just had last night with the foodie gals from FoodJournies and ChubbyChineseGirlEats. I know sometimes it takes me months before I write about a restaurant I've been to, but there's nothing like hanging out with fellow bloggers for that boast of motivation! Plus, I really need to tell you right away about this awesome dessert that we had while it's still in season. Usually I don't like to skip over dinner and talk right about dessert (except for my dessert extravaganza at Marea), but this was clearly the standout dish of the night. It was sooooo good that we ordered a second one! 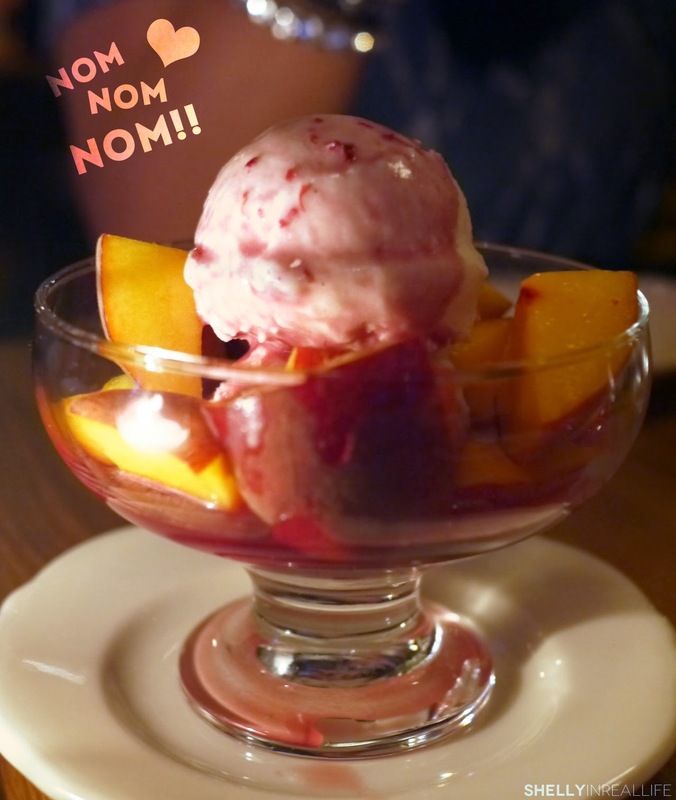 The simplicity in this dessert was a bit genius, it was essentially a sangria affogato. The juicy peach, freshly shipped from Frog Hollow Orchards in California, was the true star of the dish. There's nothing like a perfectly ripe peach that's in season to really help a dessert shine. Cindy was ready to stuff a peach displayed on the counter in the back in her shirt pocket (lol!!)! The creamy fior di latte gelato and sangria was the best compliment for this twist on a classic affogato. 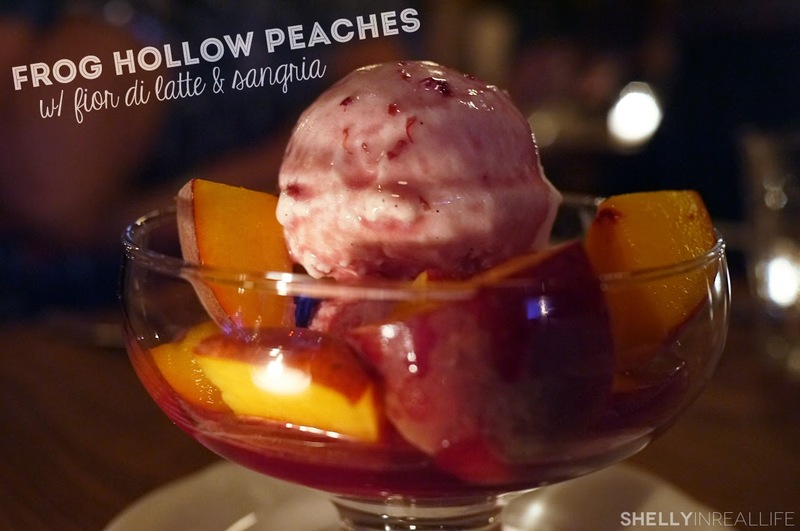 Who knew ice cream could taste so good with sangria!? Now that we had dessert, I can talk about our dinner at Chef Andrew Carmellini's newest venture, Bar Primi. 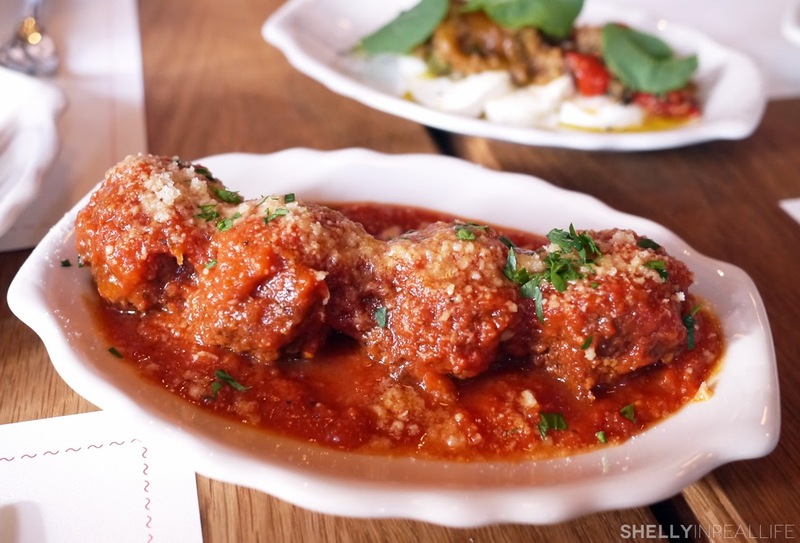 I've been a fan of Chef Carmellini ever since I had brunch at Locanda Verde a few years ago, however I have yet to try his other two NYC hot spots, The Dutch & Lafayette. So when Terry suggested Bar Primi as a restaurant she wanted to try for our get-together, I happily obliged. No reservations are accepted here, but we were able to easily get a table for four at 7pm on a Tuesday Night without any issues. We did notice that the restaurant started to get more packed later in the night, so probably earlier is always better than later. In Chef Carmellini's own words: "Bar Primi is my corner pasta shop devoted to ‘primi piatti,’ fresh pasta traditionally prepared with non-GMO semolina and specialty ‘00’ flours, organic eggs and family recipes. Everyday we make more than a dozen different types of pasta, like lumache and rigatoni with our imported extruder, ravioli and mezzalune cut and filled by hand or hand-rolled garganelli and orecchiette." Our server told us that that the serving sizes for the pastas were on the lighter side and that shared appetizers were recommended. That was completely fine with us since the four of us had already picked out 3 lovely items on the menu to share: the ricotta bruschetta, mozzarella and the highly-reviewed stuffed meatballs. 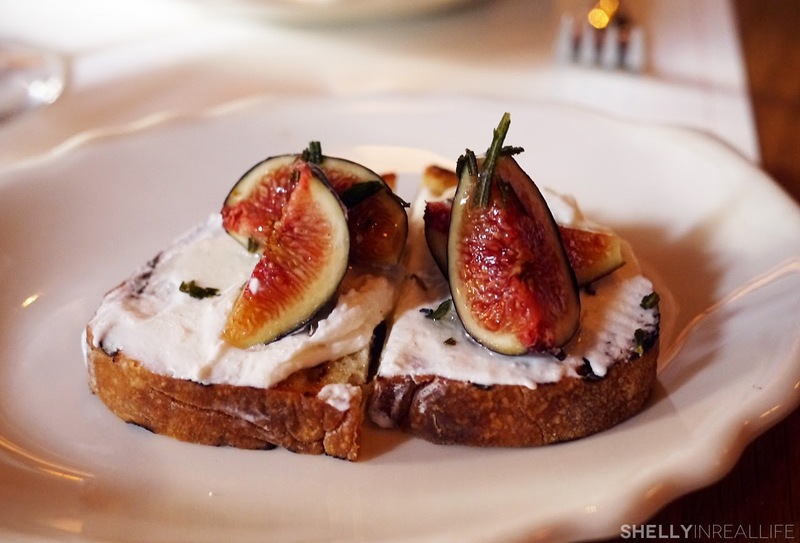 Each of the appetizers were beautifully executed - the fig worked wonderfully with the ricotta, and who doesn't love a moist meatball stuffed with cheese? I would easily recommend any of these dishes for you to try. Next up was the pasta course. To be honest, the portions were good enough to stand alone without appetizers, but where's the fun in that? I had a craving for a hearty tomato sauce so I ordered the rigatoni. 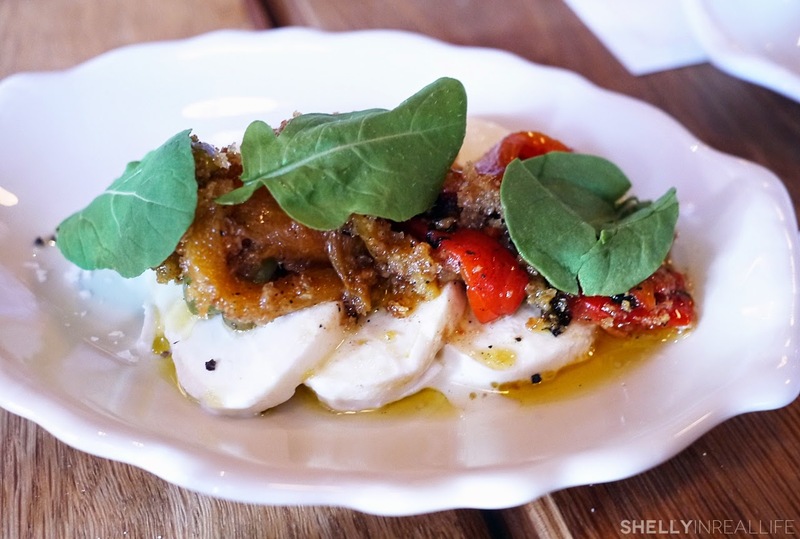 It was a simple preparation made with eggplant, ricotta salata, basil, but the flavors of the tomatoes were bright and I loved the extra bit of texture the eggplant brought to the dish. The pasta had a wonderful bite to it and reminded me of all the fresh homemade pasta in Italy. 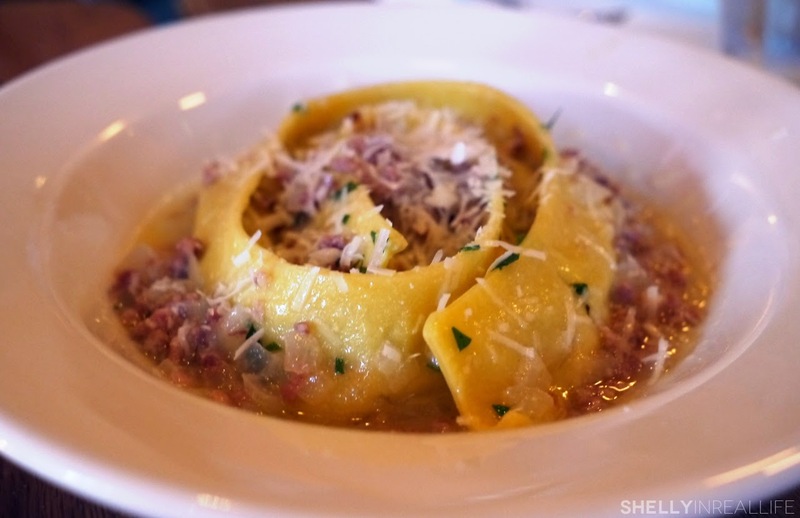 The most interesting dish of the night goes to the fiore di carciofi, a stuffed pasta roll-up. Like a ravioli that was never cut apart into smaller pieces. In a small bite that I had from Cindy's plate, I found that the pasta was super light and thin and the hint of lemon helped add some additional brightness to it all. I really enjoyed it and would consider ordering this the next time if I ever came again. 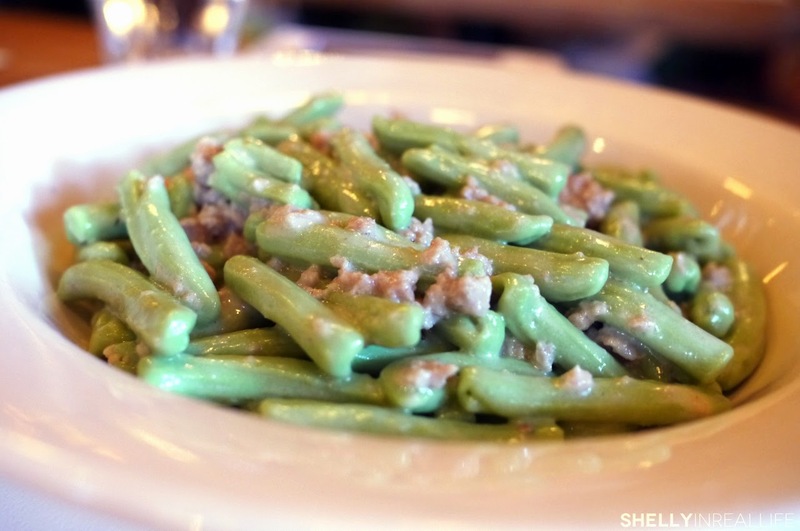 There was also the spinach cavatelli that Terry ordered, which looked like a lovely plate of green beans. I found that the flavors here weren't as bold, in the small bite I had, I thought it needed a bit of salt. Terry didn't end up finishing the dish because the portion was quite generous, but the waiter quickly helped her pack it up. Yvonne ordered the bucatini with a light lamb, which I didn't get to try, but I can only imagine that it tasted just as effortlessly executed and delicious as my rigatoni. But, none of these dishes compare to the delight we four girls had when we had a taste of our amazing dessert. I'm telling you, it was foodgasm at first bite and down to the very last bite. I mean, we ordered a second one on full stomaches for goodness sakes! 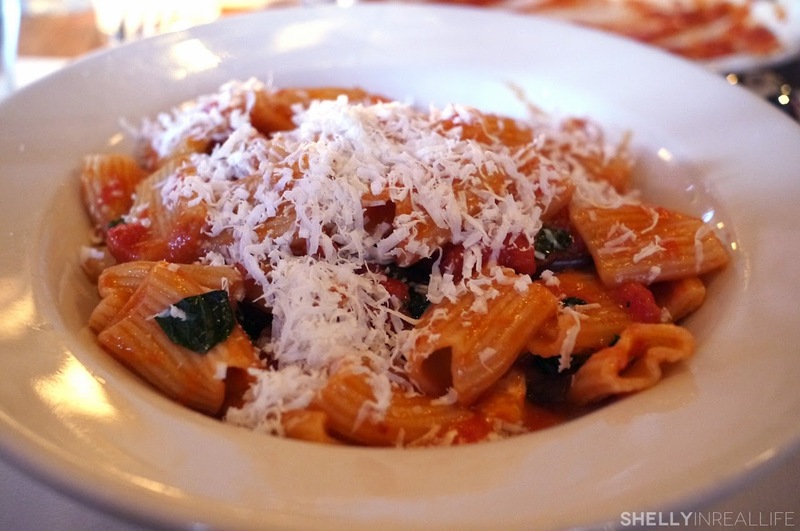 Bar Primi was just what we needed for an easy weekday foodies night out. The atmosphere was nice, waiters were attentive and it didn't have the fussiness of a lot of NYC restaurants. I mean, who wants to wait 2 hours on a weeknight when you just got off work? Plus, it was so fun to catch up with the girls, talk about travels and fun new restaurant discoveries.